Brain Impulse Review – Avoid this HYIP SCAM! Brain Impulse (brain-impulse.com) is a new website that claims to be in a position to give guaranteed returns to investors on a daily basis. Not many people have heard about it and even those who have don’t know whether it is a legit program or just another scam. We received all your questions and concerns about the website and did our due diligence and came up with an unbiased report accompanied by advice on the way forward. We recommend that you go through the review and also do further research before doing any business with Brain Impulse. Unless of course you don’t value your money, in which case we would suggest that you donate to your local charity. 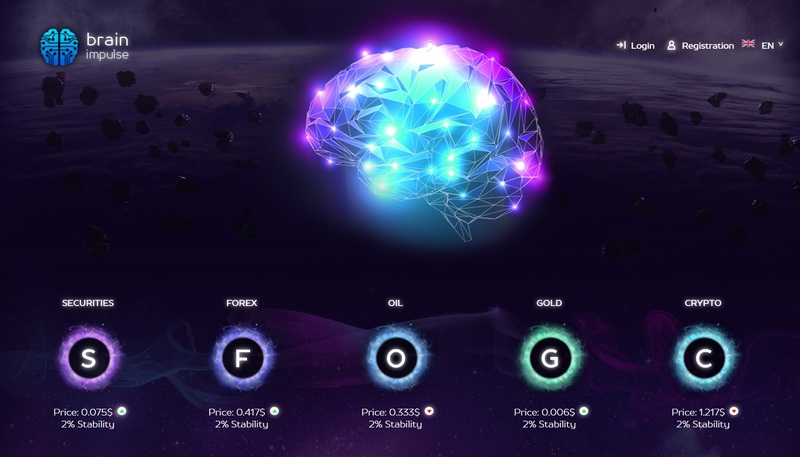 According to Brain-Impulse.com, Brain Impulse is an artificial intelligence system created by experts in the field of gold, oil and Bitcoin trading, that has the ability to collect data on price movements and other market changes, analyze it and give a recommendation on the best direction to trade. What more, the Brain Impulse system is said to be so effective that investors are assured of returns every single day! Basically, you can invest in any of the available assets, which include Bitcoin (cryptocurrency), Oil, Securities, Forex and Gold by opening an account on the website and depositing some money. No matter the asset you chose to invest in, the site assures you of 2% daily increase in your contribution. This means that, for instance, if you invest $10 today, your contribution will rise by 2% to $10.2 tomorrow and $10.4 the day after and so on. As it is, the returns are paid on daily basis for a lifetime, or until you bail out, whichever comes first. Apparently, the Brain Impulse program is always right and only makes profits, no losses. We can all laugh at that. First of all, the stated daily returns are an indication that Brain Impulse is not your normal investment program but a Ponzi scheme, a High Yield Investment Program (HYIP) to be specific. Unlike HYIPs, ordinary (and legit) investment programs do not guarantee any returns upfront much less a static profit margin. In the real sense, it is next to impossible to achieve daily increase in capital value since the financial markets are very unpredictable and highly volatile. Second of all, Brain Impulse has a very bad reputation with plenty of complaints from investors on how the site handles withdrawal requests, especially when it comes to the capital amount. We have not seen any effort whatsoever from the site towards clearing their name which means that the claims are probably true. Thirdly, the site is not clear on how exactly it operates. Questions regarding the exact financial markets they invest in, how often they trade and the amount of profits (and losses) they make in a day/week/month/year, remain unanswered. We also don’t know who the real owners of the site are, which complicates things even further. What a great way to earn the trust of investors! With so little known about Brain-Impulse.com, we cannot really advise you to invest in the program. Furthermore, there so many complaints and bad reviews about the site that it would be a big risk to trust them with your money. And some risks are not worth it. Our conclusion is that Brain Impulse is a SCAM! If you have been scammed by Brain Impulse, or if you have any feedback for us, please leave a comment below. Bit coins are getting bigger and bigger everyday and the best thing is to jump on board at this very moment. What you need is a legit company to work with. I have been on this great site called Aurora Mine and they are good for real and I thought I should share. It takes only 24 hours to get your profits. If you put in 60$ you get 200$ every month for life. It’s definitely the best investment at the moment. You get 100Gh/s for registration. That’s up to 16% of your daily earnings.